Once you get the right equipment, you should not hesitate to begin in your own neighborhood. 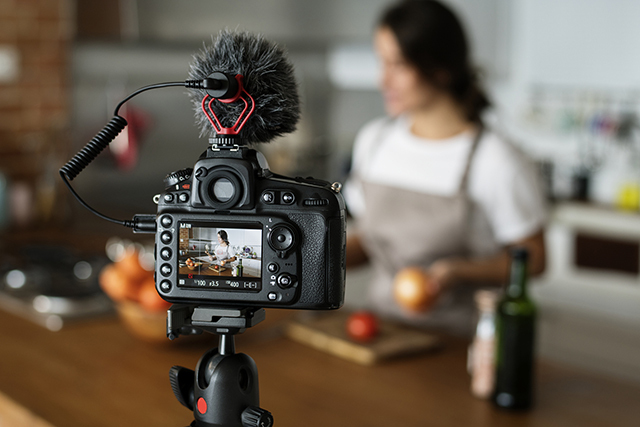 When you start doing videography at home, you will have an opportunity to help family and friends. For instance, one of your relatives may be getting married and you can use this to test out your skills and to provide them with video footage of their special day. To minimize stress, you should make sure your relatives are still hiring a photographer to capture the wedding. By taking videos in your own neighborhood, you will have an easy time with repeating the process. For instance, you can capture several videos, upload them at home, and analyze them. The next day or at some point during the week, you can capture the same footage. This will allow you to make improvements on each video and develop excellent habits for videography. Once you have built up confidence with your skills, you should not hesitate to ask neighbors if they are interested in using your services, even if it is for free. This will give you a chance to create a portfolio and gain references that you can put on a resume or your website. If your neighbors want videos at or around their home, you will already have experience in the neighborhood. Contact us if you have any questions about videography or video editing.